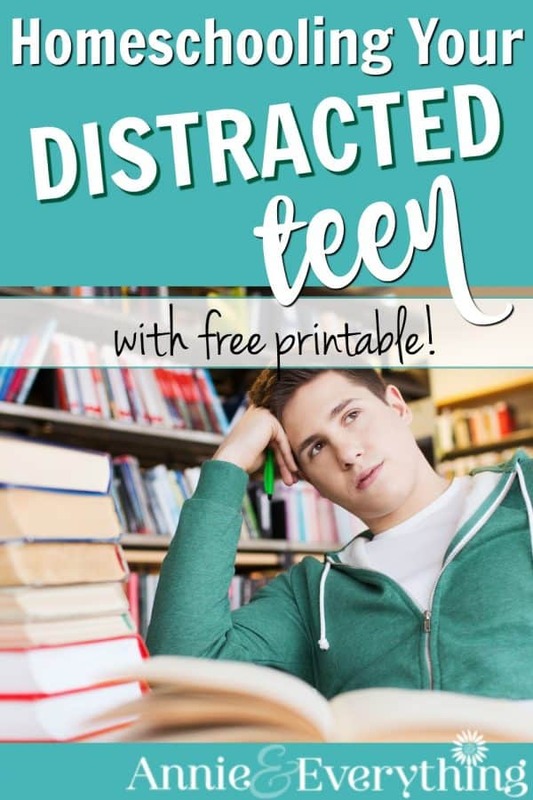 Home » Teen Issues » Homeschooling Teens Who Are Easily Distracted — Includes Free Printable Task List! I am a person who is easily distracted, y’all. Even just now, sitting down to write this post, I spent ten minutes cruising Facebook because something caught my eye. And in the midst of checking out whatever it was that caught my eye, I was led astray by something else… and before you know it, the clock had moved ten minutes further, and I had forgotten why I opened up my browser. Sigh. After literally years of struggling with this phenomenon, we have finally hit upon a solution that works most of the time. I can’t say it works all of the time, because we do grow lazy and “just wanna have fun” sometimes; but this technique helps keep my teenagers motivated and on task far better than anything else we have tried. (And I won’t deny that I use it myself to great advantage when I’m needing to get a bunch of stuff done efficiently.) It’s called the Pomodoro Technique. You can check out their website for more information, but the basic idea behind the Pomodoro Technique is to set a timer for 25 minutes, during which time you work uninterrupted on a given task. After 25 minutes you get a five-minute break, and then you start the 25-minute timer again and keep working. The reason for the 25 minutes is that studies have shown that people are most productive with that kind of cycle. Or with a 50-minute on, 10-minute off cycle. My family likes the 25 minutes, lol. We tell ourselves we can handle anything for 25 minutes! Human beings need to take breaks in order to work most effectively. That is just the way it is. We all are familiar with the sensation of pushing ourselves for hours to get something done, and towards the end we are exhausted and not moving very fast. The truth is we could most likely get the job done in less time and be less physically and mentally exhausted if we took fairly frequent breaks. We get this idea into our head that taking a break will delay the end of the task, when in reality it will probably make it come more quickly. At the start of our school day, the child makes a list of the tasks that need to get done each day. In our case, this means making a list of specific homeschool assignments. For example, the child would write the lesson number for math, the pages to read for science, etc. After each assignment, the child puts the estimated number of pomodoros it will take. 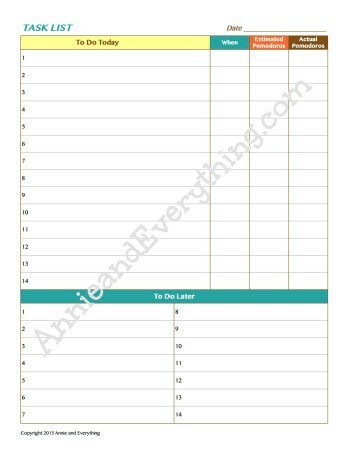 This makes it easier to plan their day, and it also gives them a goal to shoot for. After the assignments have been listed, then it’s time to make a plan for when to do them throughout the day. Each task is given an “appointment” time, and that time is also written on the task list. Then it’s time to get started working! A timer is set for 25 minutes, and the teen starts working on the appointed task. It’s important for the timer to be in plain view so that the child can always see how much time is left; this helps them gauge their work pace. When the timer dings, the child places a hash mark next to the task, to show that one pomodoro has elapsed. Then the timer is set for five minutes; it’s break time. When the timer dings after the five-minute break, it’s time to reset the timer for 25 minutes and get to work again. Of course we (I’ve given up pretending this is all about my kids, lol) get distracted in the middle of a pomodoro – that’s just who we are. 🙂 When a distraction comes to our mind while working on something, we just write it at the bottom of the list. Then we turn back to the given activity. Writing it down gives us reassurance that we will remember to do it later, and that helps us clear it from our brains enough to be able to concentrate again on the task at hand. ←Here’s a great timer to use for this process (the image is an affiliate link), because you can set TWO times at once — one for 25 minutes and one for 30 minutes. When the first timer beeps, it’s time to stop working and take a break; when the second timer beeps, break time is over and it’s time to get back to work again. And then restart them both as you begin the next Pomodoro. How slick is that?? And actually, since this timer actually has FOUR channels, you can do it for two different kids AT THE SAME TIME. I call that pretty nifty! Incidentally, did you buy each teen their own timer? Initially (years ago) I did, yes. It helps to have the timer close by so they can see how time is passing. In a pinch you could use a stove and/or microwave timer, though. Or many cell phones have them, now. There is even a website called Tomato Timer with a timer preset to 25 minutes and options for short or long breaks. So there are many options that don’t involve spending money — because kitchen timers are actually not very cheap! This is the BOMB for keeping teens on track! Many thanks for linking with Blogging Homeschoolers Daily on FB! We do a similar thing, only with 20 minutes. I LOVE using the Pomodoro Technique. It works super well for me also, and I think it’s motivating because within a short period of time, we get a break. Somehow, that small break to look forward to makes the task(s) seem a lot more manageable! This looks like just what we need! Thanks. Is the printable no longer available? It should be… you just have to enter your email in the box about 3/4 down the page. It’s too bad, I can’t find where to download the Task list and others, even after written my email address …. i’ve just found the weekly Calendar planner. This method works well for my teenage son — *when* we can get him to use it! Surprisingly, even though he *knows* that it works for him, he fights us on it. Incidentally, it’s called “pomodoro” because the fellow who named it had one of those classic twist-on ticking timers that looks like a tomato! I think I learned what “pomodoro” meant at some point. I’d love a tomato timer! 🙂 Yes, I hear you on it not working all the time or them giving push back about it. That’s why we don’t do it EVERY day. I think I would maybe tie a reward into it somehow — “at the end of every third pomodoro you get to do x for 10 minutes” or whatever. 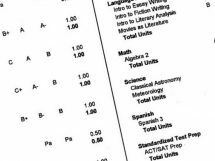 Do I Really Want to Submit Myself to a Homeschool Schedule for High School?